I’ve spoken so many times about why accessories are important to your style. In fact, not wearing accessories is one of the most common style mistakes that women over 40 can make. It’s a mistake I’ve definitely made myself in the past. But, I’ve learned how much more vibrant, interesting and youthful an outfit can look with the addition of accessories. But, how do you decide which ones to wear? While I’m not suggesting that you slavishly follow trends, the designer runways should definitely give you some inspiration. 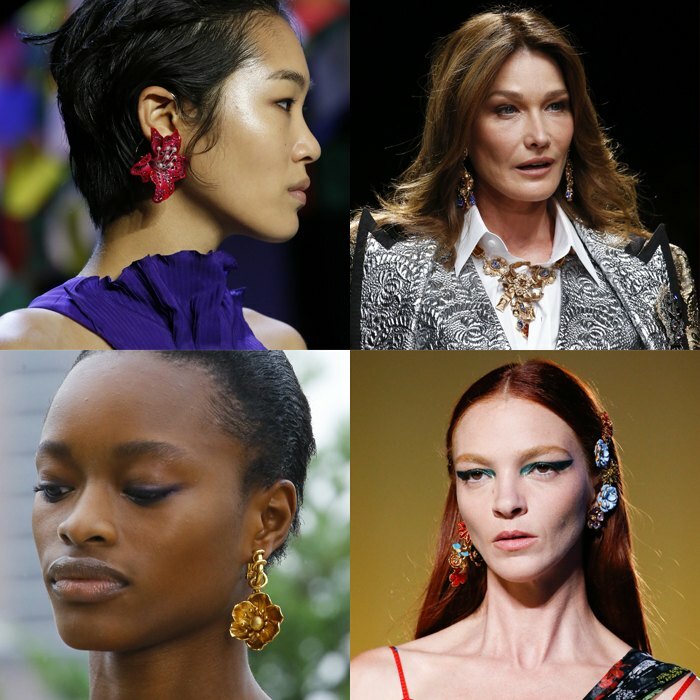 Here is a round-up of all the most stylish accessories trends for Spring 2019 from the Spring summer 2019 catwalks, along with some designer-inspired purse-friendly alternatives that you buy in stores right now. Layering your necklaces can definitely add extra interest to your outfit and designers played with this idea. Here are more ideas on how to layer your necklaces. 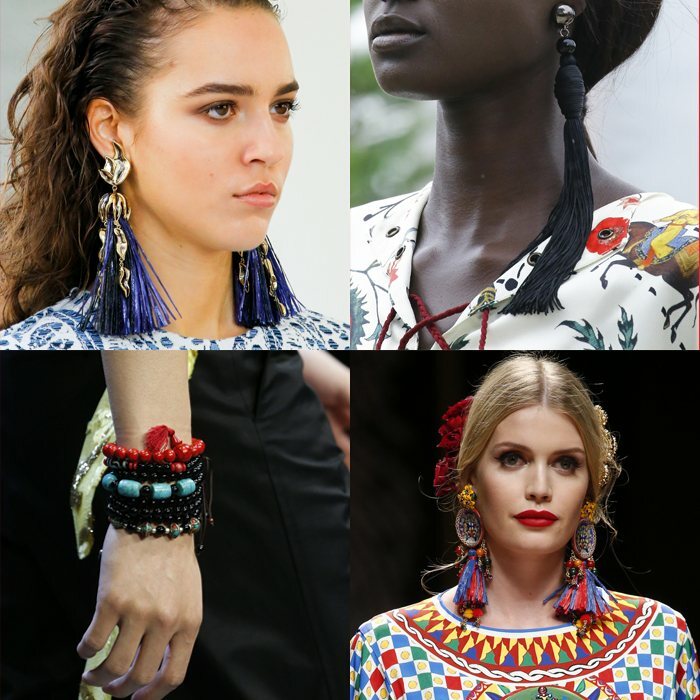 Tassel earrings and necklaces have been a big trend for the past couple of years. 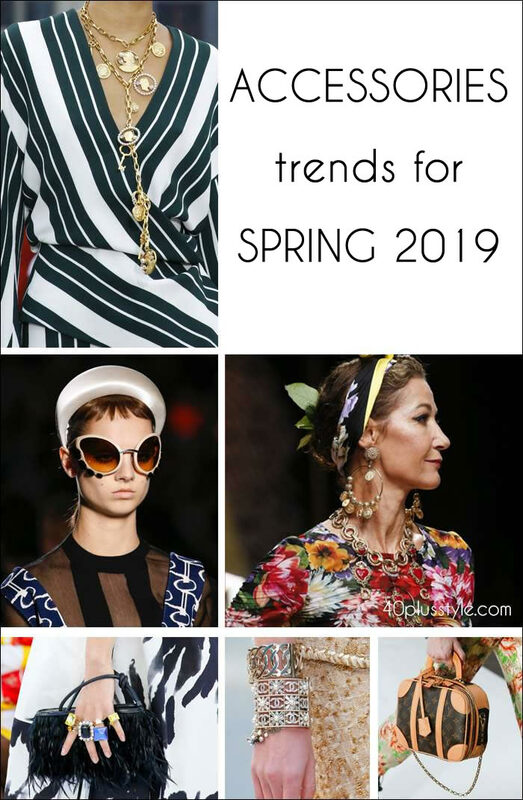 If you have already invested in tassel jewelry, then definitely keep it to the front of your jewelry box for 2019. 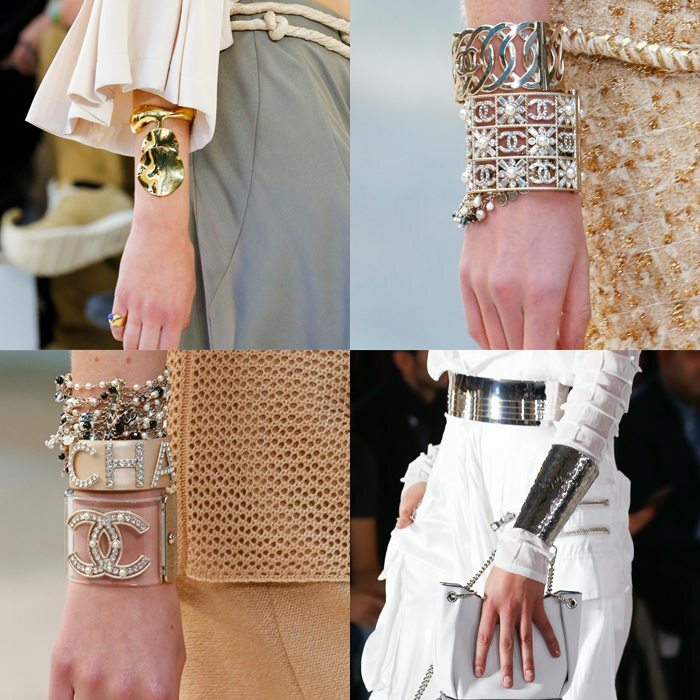 Why not make a statement with your bracelets this year? A statement bracelet can add that extra dimension to your look. Proof, if ever it was needed, that if you buy a great handbag, it really can be an investment! Many designers decided to dig into their own archives for inspiration for Spring / Summer 2910. 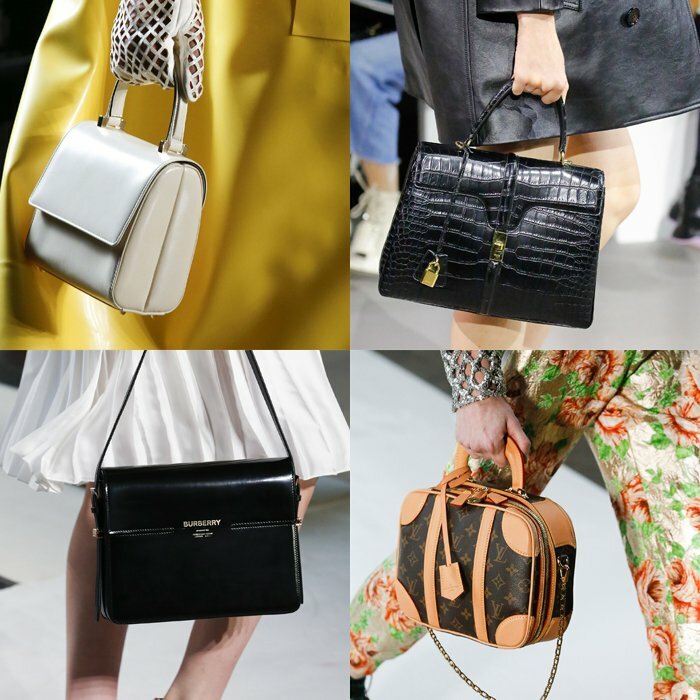 Handbags had a decidedly retro feel. 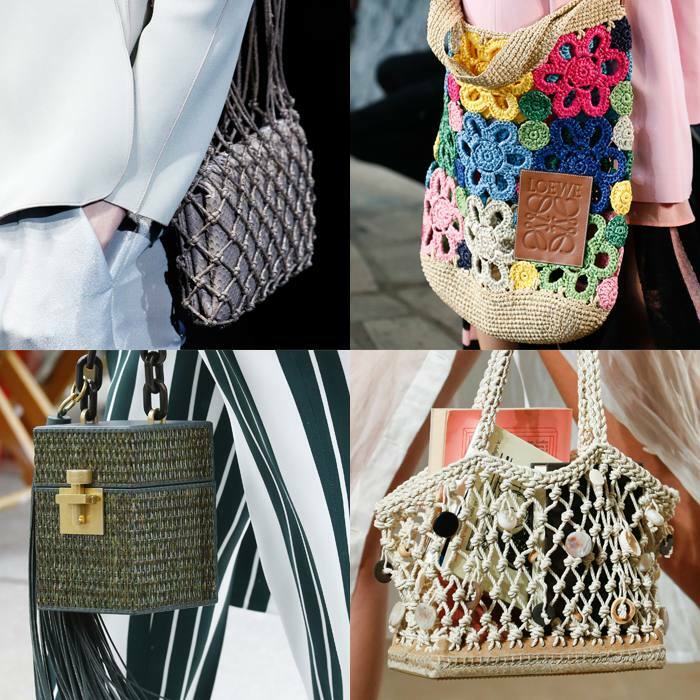 Last summer, the round straw bag definitely had a moment. This spring and summer, natural fabrics are still very much in vogue. It’s definitely no surprise that florals are on trend for spring and summer. This time around, they have more of a vintage feel. If you don’t fancy flowers, then how about shells? 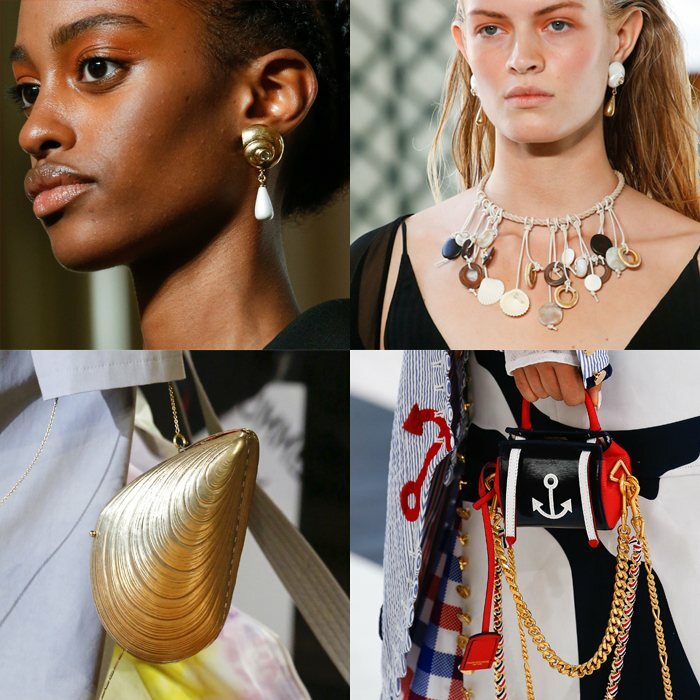 I saw shoes adorned with shells on the runways of Altuzarra and Michael Kors, and shells also made their way onto jewelry. Thom Browne’s collection was one of the craziest on the runways. 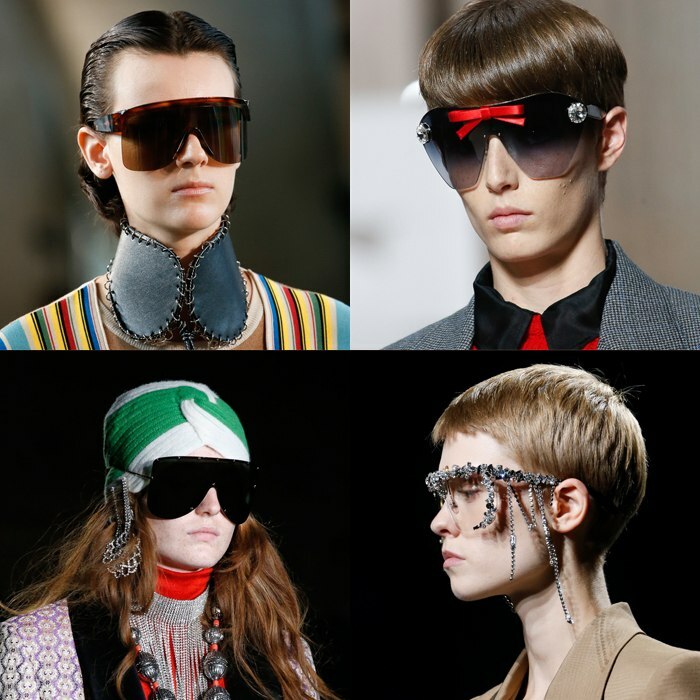 Models were wearing snorkel masks, hats in the shape of giant pineapples and carrying bags in the shape of dolphins. But his more subdued moments really worked. The anchor-print handbags were my favorite part of the collection. 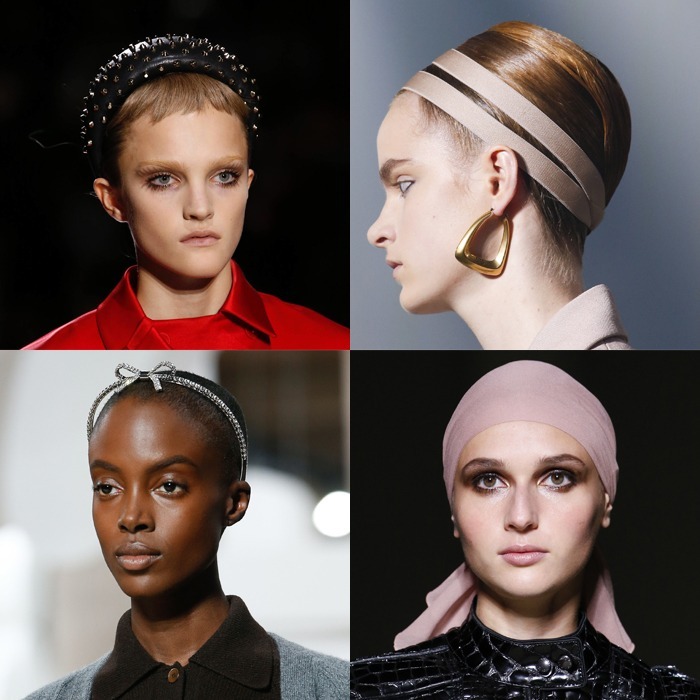 Headbands can be a tricky trend to wear, as they’re often seen as something little girls wear to school. But, just as Christian Dior’s footwear was inspired by ballet, so too was his headwear. Plus, they can hide a bad-hair day. 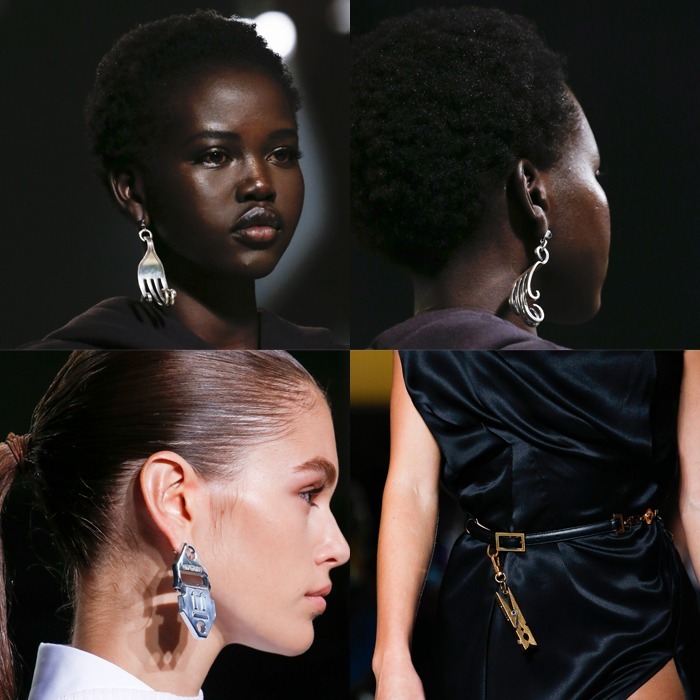 Feathers on shoes were a big spring 2019 trend, so it’s no surprise that feathers also made their way onto jewelry and other accessories. 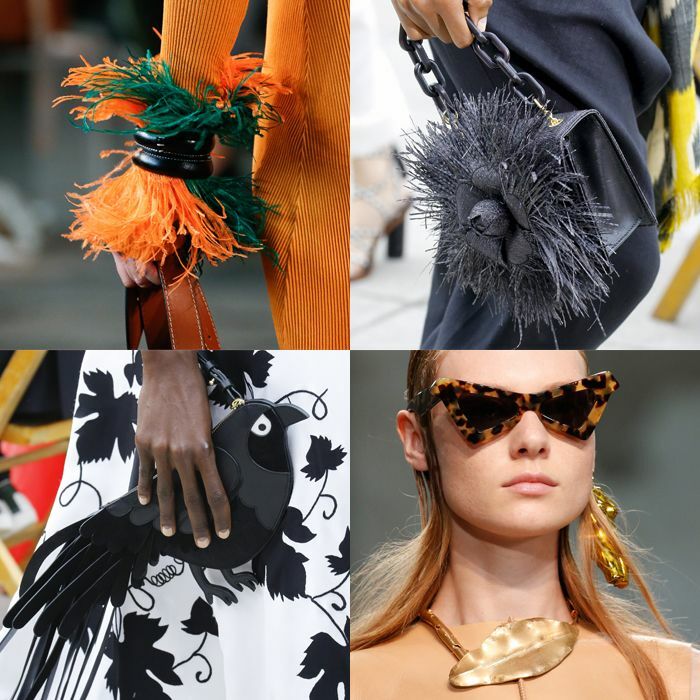 I’m not 100% sure if Marni’s take on the trend was inspired by feathers or leaves, but I did love the contemporary feel of the jewelry. 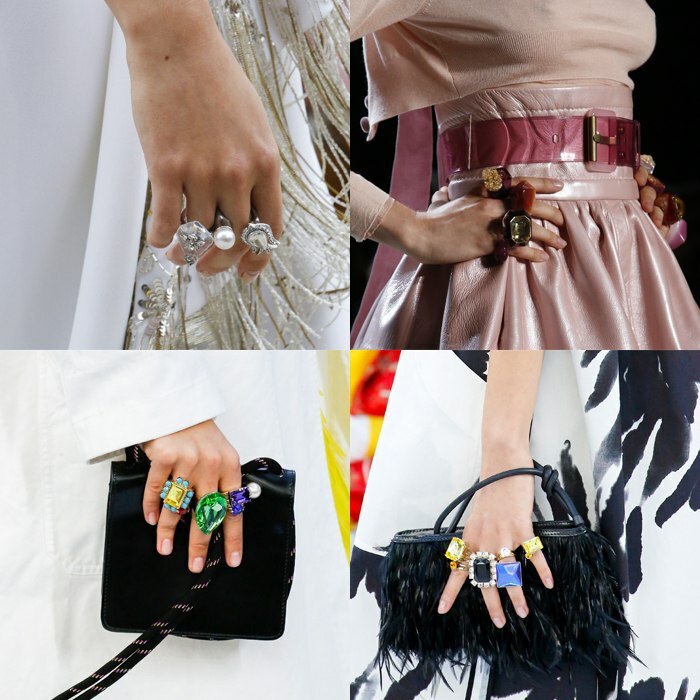 I love a good statement ring these days and there were many to choose from on the spring 2019 runways. 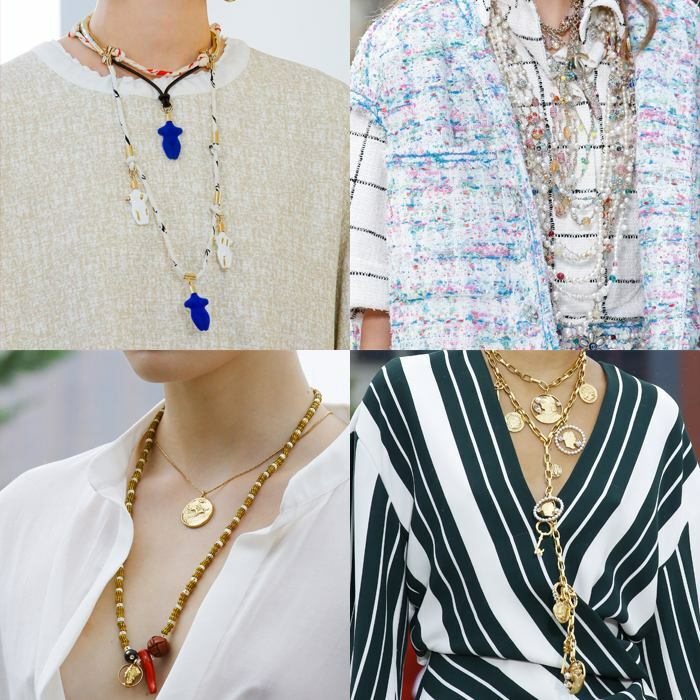 If you have a bohemian kind of style, then the medallions on display on many of the catwalks this season could perfectly complement the pieces in your closet. 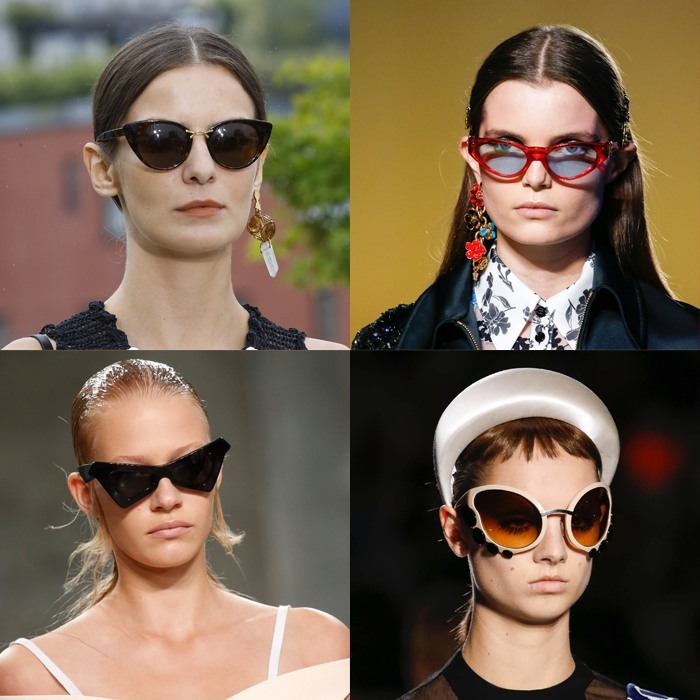 They may not suit everyone, but sunglasses for 2019 were more sunshade than sunglasses. I’m a fan of unusual jewelry, but I think I draw the line at wearing forks in my ears. It may however be fun to play with other daily objects. Which trends take your fancy? 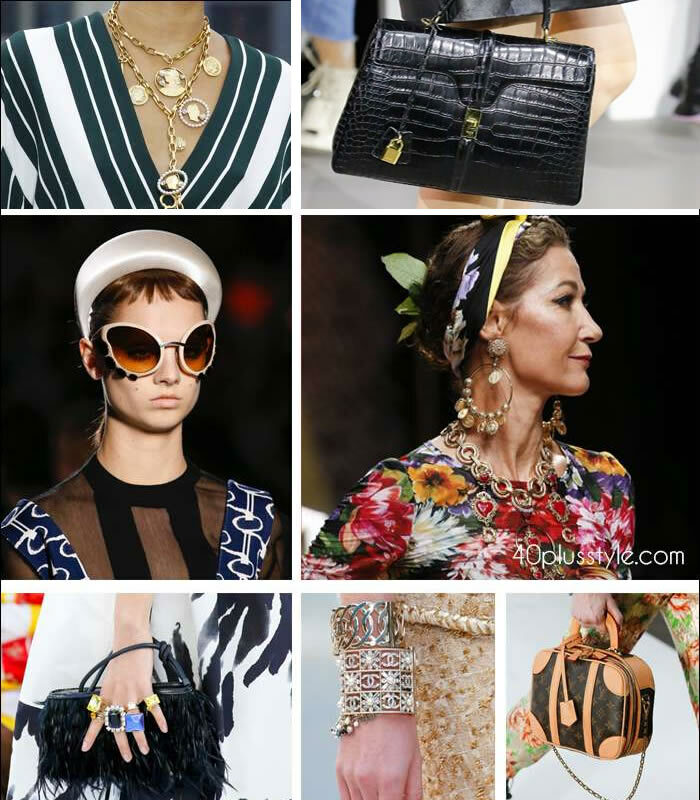 What accessories trends for 2019 will you incorporate in your style? Always nice being updated in such a way. Thank you. I will pick and choose what suits me and nicely ignore the rest. Previous post: Best shoes with arch support – comfortable walking shoes to walk in all day!